Roman Spear with hardwood polished shaft. 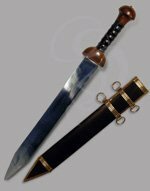 This beautiful roman spear is 7.8 feet long and weighs 9.4 pounds. 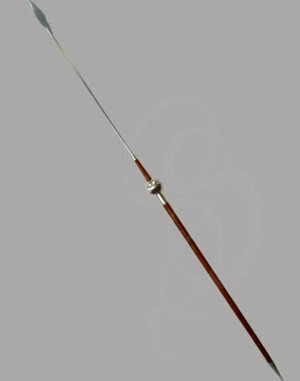 The spear features a beautiful design with a round sphere 3.5 inches in diameter. The sphere is mounted on a polished hardwood shaft which accentuated the blade at the tip. 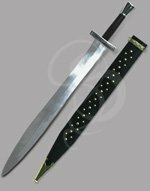 The blade is 9 powerful inches long.